Nature has a way of continually showing us up. Scientists can spend countless hours in the lab researching and creating synthetic chemical treatments for some of the world’s most significant health problems, and Nature effortlessly provides a solution. Some good examples are white willow bark extract, which we synthesize into common aspirin; bread mold which, when rendered into penicillin, has saved countless lives from infection and disease; or even the vaccine for smallpox which consisted of inoculating the patient with the pus from cowpox. The answers to some of humanity’s most profound health problems sometimes come from unlikely sources. Recently, there has been a lot of discussion and research of another unlikely source – which has taken many by surprise. Mention the word ‘cannabis’ to most people, and you are greeted with sidelong glances or raised eyebrows that seem to question your moral position and ‘I thought I knew you’ types of responses. But what these people probably don’t realize is — you aren’t talking about the vilified drug compound (THC) found in the marijuana plant - but you are referring to the oil expressed from the hemp plant. And more importantly, they most likely don’t realize the incredible benefits this oil has been shown to have on a variety of conditions. The first thing anyone thinks about regarding hemp is the drug-related culture that surrounds the varietal of cannabis sativa that has higher levels of THC. While hemp and marijuana do share the same botanical family lineage, hemp itself has a long history of non-drug related use that goes back centuries if not millennia for making rope, cloth, plastics, bio-fuel, etc. 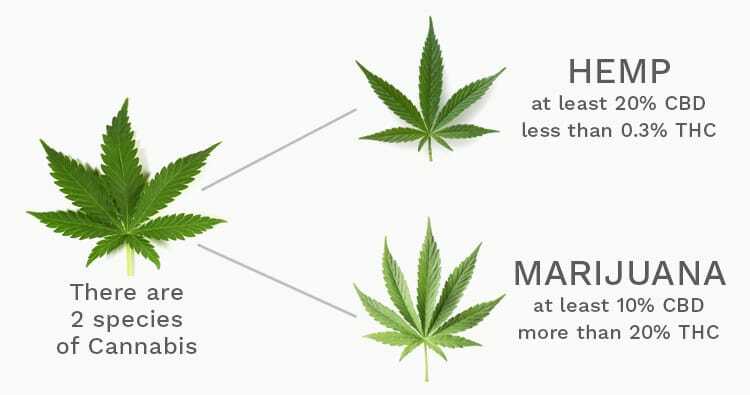 The compound THC that is sought after and revered by users of marijuana is not present in the same potency in hemp. So, while the plants share some commonalities, they are different plants with different purposes. Hemp oil - specifically Cannabidiol (CBD) is poised to take near rockstar status in the medical world - providing treatment and relief for a wide variety of health issues - including inflammation, epilepsy, reducing anxiety, fighting cancer, acne, Type 1 diabetes, Alzheimer’s disease, and more. In the past couple of years, research on CBD and its uses has become prolific. But how does this compound work, and can it help everyone? The hemp plant has over 161 compounds, but there are two which get used medicinally. The first – and more well-known compound – THC is responsible for that ‘high’ feeling in addition to some inflammation and pain relief properties. 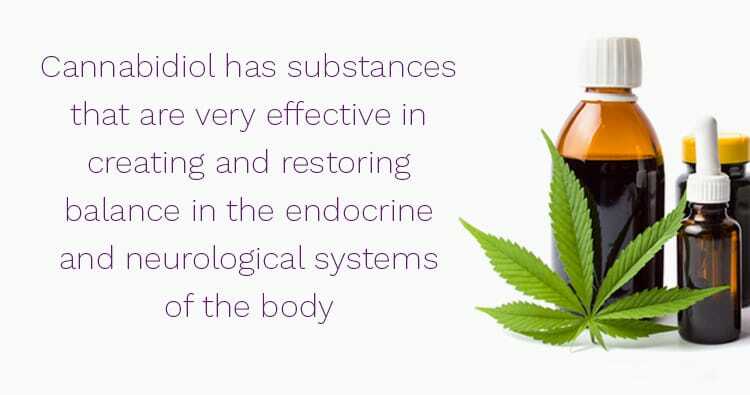 The second compound Cannabidiol has substances that are very effective in creating and restoring balance in the endocrine, immune and neurological systems of the body. One of the reasons this plant has such a profound symbiotic relationship with the human body is due to humans having a network of cannabinoid receptors in the body. Why do we have these? Well, your body also produces its own form of Endocannabinoids (anandamide [‘anada’ means ‘bliss’ in Sanskrit] and 2-arachidonoylglycerol or 2-AG for short) which help to regulate homeostasis and promote systemic balance. We each have two types of cannabinoid receptors (CB1 and CB2) throughout the body, mostly clustered around organs and the brain, which are part of the immune system. This integrated system of receptors within the body is why we respond so favorably to the plant version of these compounds – known as phytocannabinoid diols – and is why they help in repairing and restoring balance naturally. In the mid-1990s, scientists discovered that the human body contains and produces its own cannabinoids. We call those ‘endocannabinoids’ and the system they live in, the ‘endocannabinoid system’. Interestingly enough, the human body contains more cannabinoid (CB) receptors than ANY OTHER RECEPTOR in the body. These receptors help modulate the neurological system, the endocrine system, and the immune system. Those three systems put together comprise a large percentage of our overall physiology. This is why CBD seems to have beneficial effects on so many different conditions. Taking CBD actually primes our own endocannabinoid system so that it is more effective at healing and restoring balance. Research has shown CBD is effective in supporting healthy immune function, relieving inflammation, regulating stress and anxiety, providing overall calming to the mind, and improving your energy and mood. They phytocannabinoids in CBD oil may be effective in therapeutic protocols for many common conditions. Are all CBD oils created equal? They are not. All CBD oils will contain Cannabidiol. In most cases, these phytocannabinoids will be a relatively large molecule, and the hope is it will survive the journey through the digestive system and be absorbed and received by the CB1 and CB2 receptors. This approach results in a significant volume of the Cannabinoids being lost and expelled from the body. Lindgren Functional Medicine has searched for the CBD oil with the most effective delivery system. The product we’ve chosen to prescribe uses a highly concentrated extract with nanoparticle technology to produce a molecule of CBD that is below 100 nanometers. These particles are encased in a liposome suspension and rapidly delivered sublingually (under the tongue) allowing up to 10 times more of the CBD molecules to be absorbed into the bloodstream and then find their way to the Endocannabinoid receptors. This allows patients to use far fewer milligrams of CBD to achieve control over their symptoms compared to other CBD oil preparations. Is CBD Right for Me? Are There Side Effects? The safety and benefits of CBD are well documented, and there are studies with patients of all ages. 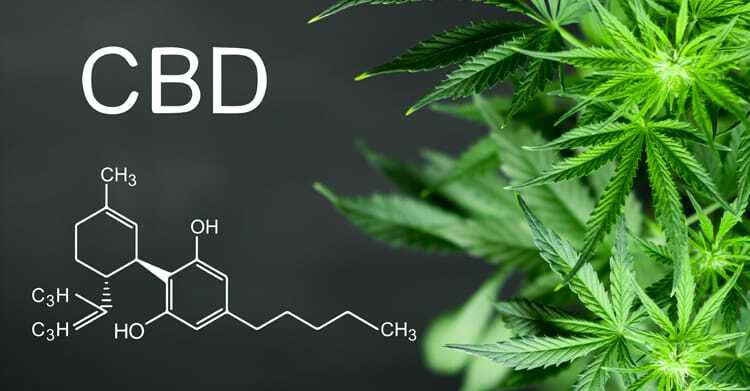 CBD is generally tolerated well by humans, and side effects like dry mouth, sleepiness, feeling lightheaded and low blood pressure are rare – and associated with prolonged exposure to very high doses. The hemp plant itself is used in many cases to pull toxins from the soil that it is grown in. By the same mechanism, CBD oil will also upregulate the detoxification pathways in the human body. In some instances, this will result in patients experiencing negative symptoms like a headache or dizziness (a ‘Herxheimer reaction’), but these are typically mild and transient. Bitters can be added to further support detox in the body if patients continue to experience these types of side effects. The CBD oil we recommend contains phosphatidylcholine (PC) from sunflower seed oil as the emulsifying agent. All on its own, PC is beneficial for supporting cell membrane structure as well as healthy liver and brain function. If you have an allergy to sunflower seed oil, then you should not use this type of CBD oil. Is CBD Legal? Will I Fail a Drug Screen? CBD is legal. While hemp oil does contain trace amounts of THC, the levels are about 100 times lower than the federal limit of 0.3%. Most drug screens are targeting delta9-tetrahydrocannabinol (THC) and don’t detect constituents of other hemp-based cannabidiols. However, studies show that eating hemp foods and oils may cause a positive result in urine or blood screenings. If you are subject to frequent screenings or are a member of the US Armed Forces, it’s recommended you do not take this product. Nope – CBD is CBD. The Cannabinoids found in hemp and marijuana have the same exact chemical makeup and as such, they work exactly the same in the human body. THC is NOT required to ‘activate’ CBD or to reap the health benefits from it. The only legally obtained Cannabinoid oil in the state of WI comes from hemp, so that is the formulation we recommend and use. What dose of CBD do I need? That is a tricky question to answer because it depends on what you’re treating as well as the quality of the CBD you are using. Unfortunately, most commercially available hemp oil products are not only costly, but they have poor absorption or low ‘bioavailability’ (typically 6-10% absorption). This means you need to take a lot of hemp oil to obtain the desired effect. The hemp oil we recommend is a nano-enhanced emulsified one which has close to 100% absorption. This means that patients are able to use less, spend less and get better control of their symptoms. I am the ultimate skeptic. CBD almost seems too good to be true but the science behind its benefits is overwhelming, and the body of literature supporting it literally grows every day. I predict that in future, CBD oil will be on the short list of nutraceuticals with vitamin D and omega-3 that we simply take every day to maintain balance and keep inflammation at bay. We recommend a special CBD Oil which utilizes a unique liposomal delivery system, dramatically improving the bioavailability of the oil. This Dietary Supplement contains hemp extract derived from the stalks and stems of the mature industrial hemp plant, which delivers healthful benefits, without having the psychoactive or “high" effect associated with this type of botanical. Suggested Usage: Take 1–4 pumps by mouth, holding for 30 seconds before swallowing. Best taken on an empty stomach 10 minutes before meals. May be stirred into a small amount of water. Once opened, use within 60 days. Store at room temperature, away from light. Our preferred Hemp Oil is the industry-leading phospholipid encapsulation system - providing rapid uptake and unparalleled bioavailability. Each bottle contains 25 4-pump servings. Schedule an appointment today and find out if CBD oil is right for you.